Bechtel never won another WSOP bracelet but did earn over half a million dollars for finishing fifth in the 2006 $50,000 H.O.R.S.E. event. 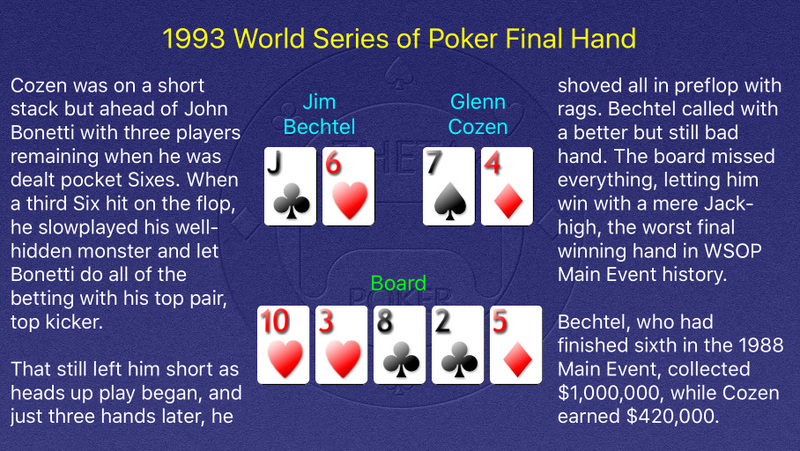 Cozen never won a WSOP bracelet but did take down the $1,000 Limit Hold ‘Em event at Amarillo Slim’s Super Bowl of Poker in 1989.